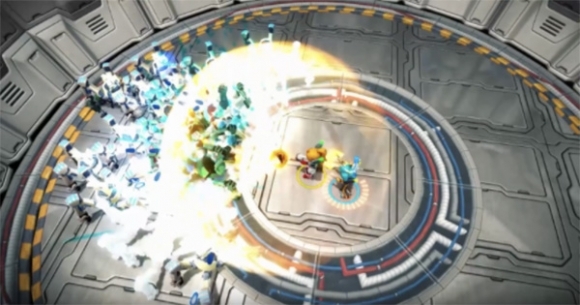 Assault Android Cactus, the action-packed arcade-style twin-stick shooter by Witch Beam, arrives on the Xbox One Marketplace today for $14.99 USD. Supporting the Xbox One X with native 4K 60fps and debuting an optional developer commentary, this multi-award winning title has a 30-minute free trial to give potential players a taste of what is to come. "The spirit of our game comes from a love of the arcade culture we grew up with," says Santana Mishra, director, Witch Beam. "Now Xbox One owners will get to experience Cactus's non-stop action in glorious 4K HD on the Xbox One X."